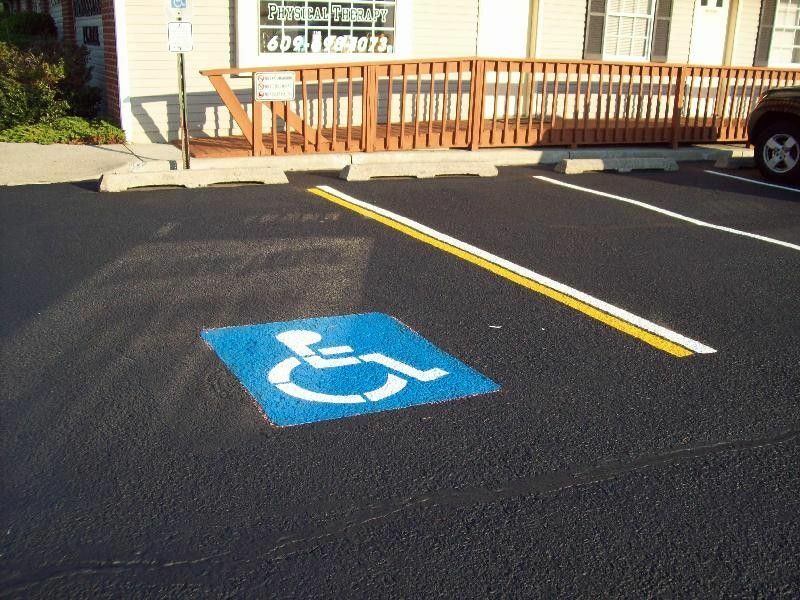 Although parking lot striping may be looked at as something unimportant, it can have a tremendous impact on the overall usability of a parking lot. Adding stripes can make a parking lot more organized, easy-to-use and user-friendly – even for first-time visitors. Most commercial property owners know this. Given the size and complexity of the typical parking lot of a commercial property, property owners have learned that parking lot striping is can be a huge benefit to the tenant if done correctly or an equally big headache if done wrong. Considering striping importance, once the parking lot is built (or repaired), they quickly seek out the services of a parking lot striping company. What most property owners don’t realize is that the cleanliness of the parking lot surface can directly impact the overall quality of the striping. An unclean surface can reduce the lifespan of the stripes. The reason for this is simple: if the striping paint is laid on any residual dirt left on the parking lot surface, the next time the surface is cleaned, the paint can be worn off more quickly (or worse, stripped off by the sweeper). Stripes could chip, rip, or fade, and require repainting. 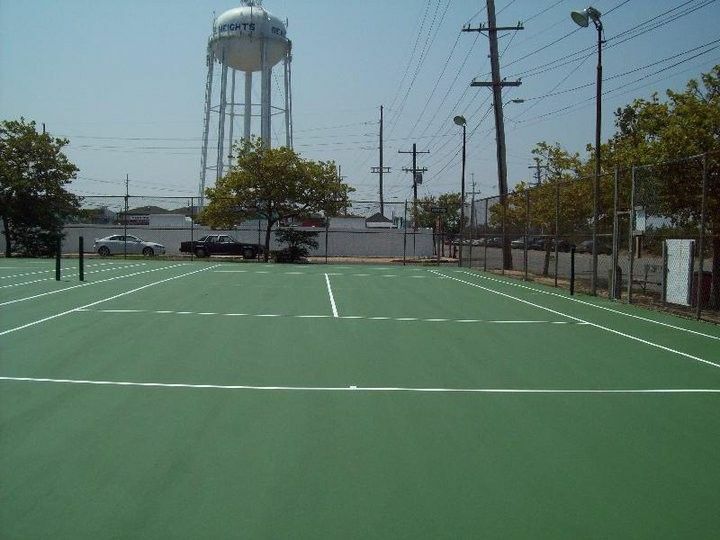 This ultimately increases the costs of striping since it would need to be restored more frequently when compared to surfaces which are thoroughly cleaned before the striping project. Before a parking lot striping project is initiated, it is critical to ensure that the parking lot surfaces are carefully cleaned. Generally speaking, there are three types of surfaces which need to be cleaned before striping the parking lot. These are cement, concrete, and asphalt. Below are simple guidelines on how to clean these surfaces. Cement and concrete are common surfaces used on parking lot surfaces and paving stones. Cement is a binder material (like glue) which hardens to a durable surface. Concrete, on the other hand, is cement with an aggregate of sand, gravel and other materials that are added to provide a variety of hardness or porosity depending on the use of the surface. Please note that paver stone surfaces may need additional sanding after cleaning. The bottom line is that the first step towards preparing a parking lot striping project is to ensure that the surface to be “striped” be thoroughly clean. The surface should be cleaned using not just the approach, but also with cleaning detergents which are meant for that specific surface. This will ensure that any striping on the parking lot will be clear, visible, and last for a long time. If you are a commercial property owner who is planning for a parking lot striping project, be certain to get a professional that will properly prepare the surface by thoroughly cleaning it. Otherwise, you may end up compromising the longevity of the parking lot stripes. The good news is that when you hire C & L Services for parking lot striping services, professional cleaning will part of the project. You don’t need the additional step of hiring another company to clean the surface. If you are looking for a team of professionals, call us at 732-886-1940. We’ll provide you with a problem-free parking lot striping. Having an immaculately swept parking lot is a smart investment for a number of reasons. For starters, the parking lot creates the first impression that visitors have. 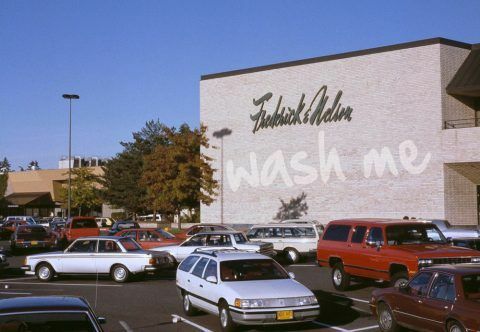 Generally, if you want to create a good first impression your clients, prospective tenants or other visitors, having a clean parking lot is the first step towards this. A well-swept parking lot also protects you liability which may arise from parking lot accidents such as trips and falls. Finally, regularly parking lot sweeping keeps the lot in pristine condition, reducing wear and tear – and the associated costs of repairs. It is in your best interest to ensure that your parking lot pristine, clean and well-swept. And if you want the best impressions you can get, you need the services of the best parking lot sweeping company you can find. Most people mistakenly assume that all sweeping companies are the same. As such, when in need of sweeping services, they reach out to the nearest company they can find. The end result could be substandard work (or worse, no-shows) which ends up wasting not just their time, but also resources. To avoid this situation, it is essential to understand what the difference between mediocre and excellent sweeping companies. Parking Lot Sweeping Excellence Principle 1 – Keep equipment up to date and in top working condition. The first rule of providing excellent cleaning services is having the right equipment. The best companies know this. They invest in the latest equipment which is available on the market. Beyond just having the latest equipment, they ensure that is in top shape. This means that they constantly service them to ensure that they are working at their best. Typically, these companies maintain their equipment by having staff mechanics who can service them, as well as onsite garage space for providing safe storage. To top this up, the companies typically maintain an ongoing relationship with specialized parts vendors to ensure that any replacements are easily found. This ensures that their fleet is constantly on the road. Another rule of providing excellence is having full-time, well-trained and dedicated staff to provide parking lot sweeping services. 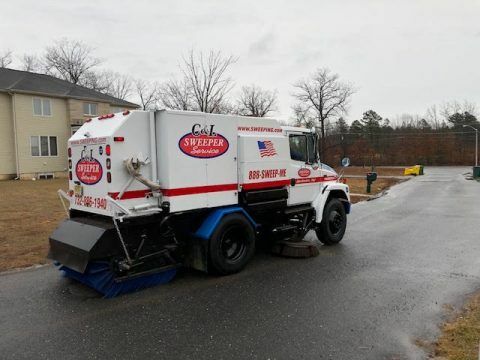 When contracting parking lot sweepers, you want their staff to be pro-active, look for problems and communicate regularly with both clients and management. This not only ensures excellent customer service, it also prevents problems from escalating. Such staff needs to undergo regular training, drug testing, and supervision. This ensures that the staff skills are maintained at their peak, it also “nips problems in their bud” before they have a negative effect on clients or properties. The best companies also maintain constant communication between executives and clients to ensure that the latter enjoy an excellent customer service experience. The best sweeping companies also maintain efficient operations. Examples include using updated GPS systems, operating a radio dispatch and having 2 supervisors on night call while the rest of the world is sleeping. This provides prompt response to customer queries or needs. Top parking lot sweeping companies also provide regular quality assurance and collect ongoing feedback from staff to keep the company aware and responsive to both customer and staff needs. The end result is that the overall quality of their services is constantly improving. Ultimately, only the best street sweeping company can provide you with excellent parking lot sweeping services. Therefore, if you are looking to contract a company to provide you with the right sweeping services for your parking lot, then make sure that you contract a company which has the above qualities. One company which fulfills the above criteria is C & L. Basically, if you need to make a great impression for your property, simply call C &L, and you will enjoy the best parking lot sweeping. Every year, during the seasonal transition from winter to spring, the beauty of nature coupled with the warm inviting weather makes our world a perfect place. That is until you see them — potholes on your driveways, pavements, and parking lots. Potholes everywhere, worsened by the extreme temperatures of winter. If you notice potholes, no matter how severe they are, there are ways to get them fixed the right way, at a price that fits your budget and will leave durable results. This can be done by selecting a professional company dedicated to the maintenance and repair of parking lots, pavements, driveways, and other paved surfaces. There are a few things you need to do to get the right company for the task. Keeping pavement in good condition is critical for appearance and avoidance of legal problems. Pothole repair, much like patching a hole in your best (perhaps only) suit, has to be done the right way. A shoddy job would just be a temporary fix that will cost you even more with time, possibly causing harm to the cars and people using the surface, or worse, leave an eyesore that greatly lowers the value of property. Generally speaking, pothole repair can be carried out quickly and easily by most paving professionals. However, some situations create additional challenges, which is why you should be selective about the contractor you choose for the job. 1. Cold Weather – The colder the weather, the harder it is to conduct a pothole repair. Not only because of the cold temperature, but experienced experts know the ideal materials become scarce because of demand. Companies committed to excellence know the materials that should be used in cold weather for the best results, and where to find them. Cold patch asphalt, which is best used for pothole repair in cold weather, may not be as durable as hot asphalt repairs but they are economical and fill the hole quickly. This is a perfect fix to prevent the expansion of the hole until the weather is warm enough for hot asphalt. It is much harder to find the best quality cold patch during the cold season. When you have a glaring pothole on your pavement, parking lot, or driveway that demands repair, contact C&L Services right away to get the pothole inspected and to get advice on the best possible approach to get it fixed. 2. High Traffic – Pothole repair on high traffic surfaces is a big problem. No one (especially property managers) wants to restrict users, shoppers, or employees from accessing a business property — not even for repairs. The solution to this problem is simple: find a reputable maintenance contractor who can respond quickly and provide service during the low traffic periods such as evenings, nights, or very early mornings. 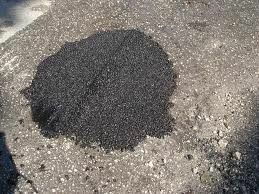 This ensures that the pothole is repaired without a rush, and your business is not severely inconvenienced. 3. Soft Subgrade – Soft subgrade poses a huge challenge to inexperienced contractors because of the scope of repair on such a surface. This situation requires more than a large pothole repair. The right solution in this situation involves immediate removal of the pavement and stabilizing the subgrade with appropriate granular materials such as gravel and sands before repaving. Extreme low temperatures, which we cannot wish away, is hard on paved surfaces, but you do not have to let it hurt your business or wallet. Cost effective and prompt mitigation of the pothole problem demands proper planning, regular inspection, and most importantly, getting a professional maintenance company to consistently provide lasting solutions every time nature or wear creates a hole on your pavement. Have pothole problems? Give us a call at 732-886-1940. We’ve had a lot of experience solving pothole problems and can help you with you cold weather pothole repair. Over 70 percent of Americans have to deal with the nasty cold weather that comes with winter. Although the snow and ice may look beautiful in pictures during the warmer months of the year, they present the most difficult conditions to travel in and require a great deal of manpower and materials to manage. One of the most common materials used for snow and ice management is salt (also known as sodium chloride). 22 million tons of sodium chloride or road salt is dumped on paved surfaces to manage the ice by lowering its melting point. However, using salt on roads, sidewalks, and other surfaces has its downsides. Using salt for snow and ice management during winter ultimately damages roads and other surfaces that get contaminated by salt. Salt is one of the most basic naturally occurring chemicals that life needs to thrive. While it is the cheapest and most practical way for us to manage winter ice, ice has one a serious effect on surfaces. 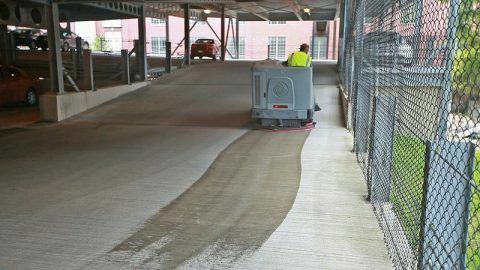 Because it is caustic, it can cause the breakdown of other materials in nature, including substances that we use to pave road surfaces, parking lot stripping and even interior floors. Removing salt with street sweeping helps minimize the caustic effects of road salt. Can Salt Contribute to the formation of Potholes? Salt can speed up the appearance of potholes and makes existing deterioration on roads worse in certain situations. The salt itself used do not cause potholes, however it can contribute to the decreased life of the road. It does this by exaggerating the freeze-thaw cycles at lower temperatures because of its property to keep water in liquid form even at very low temperatures. Salt is a compound made up of two chemicals — sodium and chlorine. Sodium is a very corrosive element that will damage a wide range of substances that we use in interior and exterior surfaces, especially wood floors. Chlorine, on the other hand, has a serious effect on parking lot stripping if the salt is allowed to accumulate on the stripping, causing the polymers in the stripe to dissolve. When the winter season passes, it is imperative that we mitigate the effects of salt on roads, interior floors, parking lots, and even our cars by removing it. Street sweeping is the ideal process that can clean away salt that has accumulated on surfaces during winter. Removing salt is important not only because it will preserve paved surfaces, it also saves the environment by reducing the salt that could be washed on to plant areas and water catchment areas. Municipalities employ street sweeping that uses the latest and most efficient equipment to remove as much salt from the roads, parking lots, and pavements as possible. If you have a road, walkway, or sidewalk that you care for, take some time to implement a plan for professional street sweeping. The goal is to clean away the salt left over from the winter, preserve the paved surfaces, stripes, and floors and save money in the long run. Need a salt removal plan? Call us at 732-886-1940. We’re professionals in all types of street, parking lot, and garage deck cleaning. Sorry, we don’t don’t floors but can provide you with excellent street sweeping.